‘Real men eat quiche,’ is what the team told me as I made this in York. I don’t know about that, but I can tell you that Wensleydale cheese is a great addition. It was originally made from ewes’ milk by French monks from the Roquefort region who settled in Yorkshire, but commercial production by large dairies using cows’ milk soon spread throughout Britain. In 2013, Yorkshire Wensleydale cheese was granted PGI (protected geographical indication) status and is now made the proper way in Hawes and is the one to look for. Heat the oil and butter in a medium pan over a medium heat. Once the butter has melted, stir in the red onions and a pinch of sea salt. Cover and cook over a low heat for 20-25 minutes, stirring every now and then, until the onions have softened and caramelised. If they look as though they’re burning, add a tablespoon of water and stir. Spread the onions onto a plate and set aside to cool. Now make the pastry. Put the flour in a bowl, add the butter, a pinch of salt and thyme (if using) and rub together with your fingertips until the mixture resembles coarse breadcrumbs. Add the egg and mix with a knife until clumps form, then bring together lightly with your hands. Add a couple of teaspoons of water if the dough feels dry. Dust a clean work surface with flour and knead lightly and quickly until smooth. Wrap in clingfilm and chill for 30 minutes. Lightly flour the work surface and roll out the pastry to a rough circle measuring about 32cm in diameter. 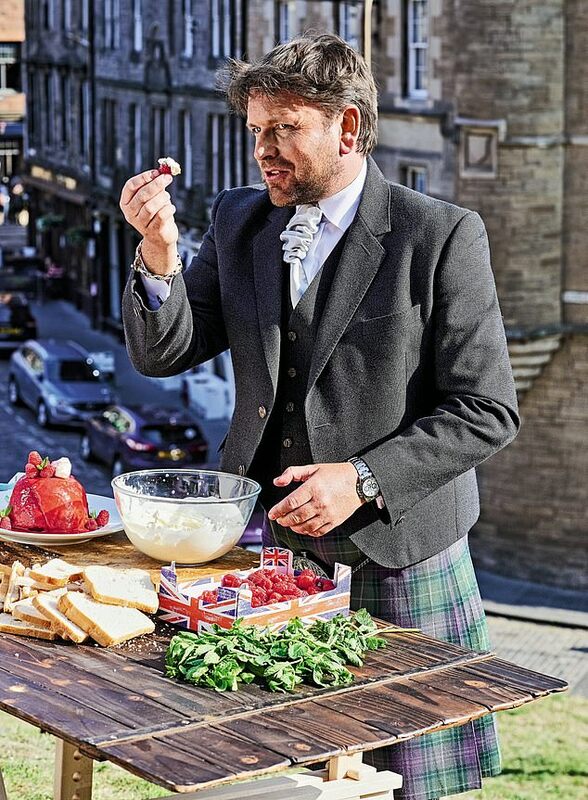 Carefully lift the pastry into a 27cm fluted tart tin and gently press into the corners. To make the filling, put the eggs, egg yolks, cream and milk into a jug and whisk together. Season well and whisk again. 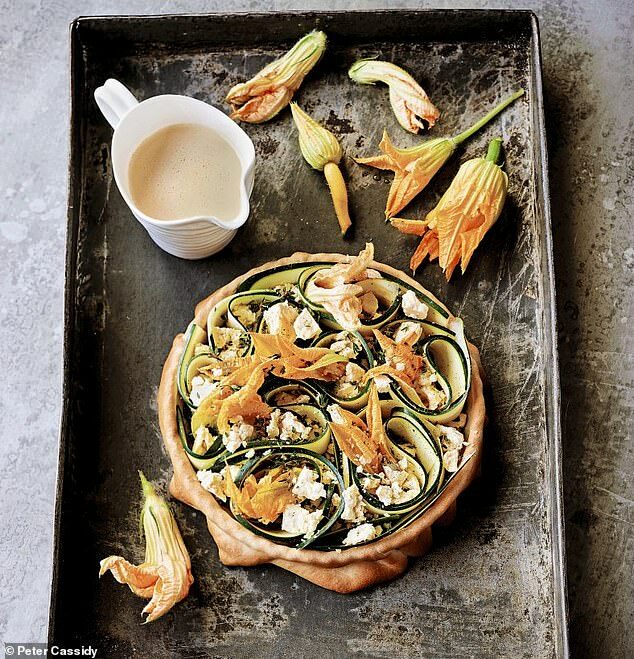 Spread the onions over the base of the pastry, arrange the courgettes and courgette flowers (if using) on top and scatter the cheese all over. Pour the egg mixture into the tart tin and give it a little shake so it spreads evenly. Carefully slide the tart tin onto a baking sheet and bake in the oven for 45-50 minutes, until the filling is set. Once cooked, take the quiche out of the oven, let it sit for 5 minutes, then trim the pastry edges. Serve hot, warm or cold with a green salad.